Philip van der Eijk is Alexander von Humboldt Professor of Classics and History of Science at the Humboldt University in Berlin. He was born in Delft, the Netherlands, and read Classics at Leiden University, where he received his doctorate in 1991 and where he held a Postdoctoral Fellowship of the Nederlandse Organisatie voor Wetenschappelijk Onderzoek (NWO). In 1994, he moved to Newcastle University to take up a Wellcome Trust University Award in the History of Medicine in the Classical World. At Newcastle, he was appointed (Personal) Professor of Greek in 1998, and Research Professor of Greek in 2005. With colleagues from Newcastle and Durham, he founded the Northern Centre for the History of Medicine in 2003, of which he was a Director until 2009. 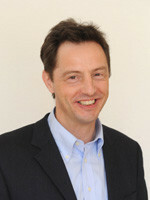 He moved to Berlin in 2010, where he leads the research programme “Medicine of the Mind, Philosophy of the Body. Discourses of Health and well-Being in the Ancient World”, funded by the Alexander von Humboldt Foundation. In 2016 he lead the exhibition project “The Soul is an Octopus. Ancient Ideas on Life and the Body” in cooperation with the Medizinhistorisches Museum der Charité. His main research interests are ancient medicine, philosophy and science, as well as early christian literature and thought. Currently he is focused on Aristotle, Aristotelianism and medical history, towards a Galen in English, knowledge transfer in Late Antiquity and ancient concepts of mental illness.